To me, our loaf of bread is not just a loaf of bread. To me, our loaf of bread is home-baked with love. Love because I love my son and want to bake soft and delicious bread for his daily school lunch. To me, home-baked breads are different from the breads that we bought from commercial bakeries and supermarkets. They can be custom made to the texture and taste that we want. Since the day that I started baking our own breads, I've learnt so much. And I'm proud to say that I have baked many good quality breads with good quality ingredients, no preservative, no bread improver and less instant yeast. Best of all, all of our freshly home-baked bread are delicious with varied taste and texture. Interested? I have an extensive list of bread recipes at here. 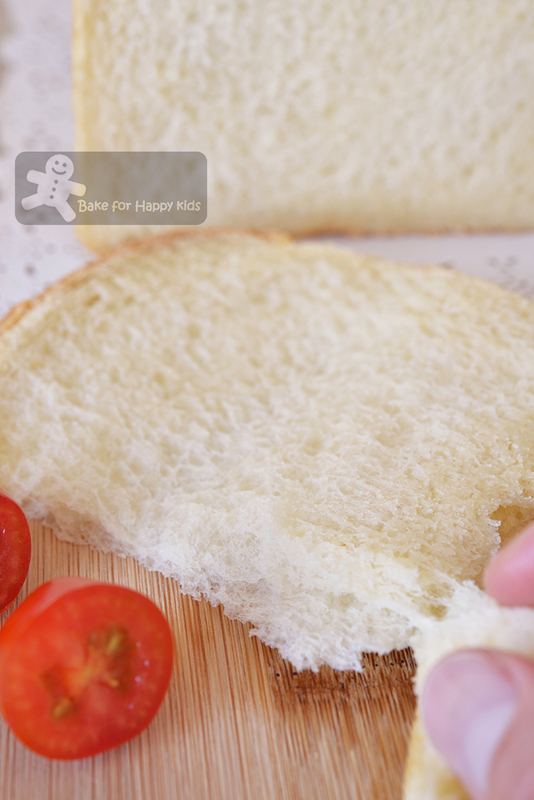 Soft and Fluffy Basic Sandwich Bread - Highly recommended!!! Basic yet simply soft and yummy! Although these breads are made with the most basic bread ingredients like water, bread flour, milk powder, sugar, salt, butter and yeast, their composition can produce a dough that is so relaxed and spongy. And you will see its enchantingly soft and fluffy texture in my following video. Is milk powder a basic bread making ingredient? I know. I know... To some of you, the use of milk powder will ring a bell in you! You might ask... Why milk powder? Can you substitute water and milk powder with milk? And my answer is NO!!! I have tested and witnessed before at here that the enzymes in milk can break down gluten and prevent the bread dough from rising. Due to this reason, some bread recipes prefer to use scalded milk because scalding milk deactivates these enzymes or some bread recipes use milk powder. If you prefer to use milk instead of milk powder to bake your bread, please do not use this recipe!!! The curious me had tried baking this recipe with milk before and although the breads that are made with milk are soft, they are not as soft and fluffy as the ones made with milk powder. For this reason, I would rather you to use my other highly recommended sandwich bread recipes at here, here, here, here, here and here if you die die must use milk instead of milk powder to bake for your breads. Otherwise, you can check out my extensive list of bread recipes at here. Before proceeding on to the video and recipe, I would like to mention something... Although this spongy bread dough can be slightly sticky, it can be easy to handle without using excessive amount of flour to dust because the dough is very very very stretchy. If the dough is sticking onto your hands, you must relax and stay zen! LOL! Do not wash or flour your hands! Just keep pulling and stretch the dough and the bits and pieces that are stuck onto your hands will pull itself back onto the dough eventually. In the video, you will see that I have used very little amount of flour to dust the dough and rolling pin while rolling it. Try to resist using too much flour to dust as excessive amount of flour used will make the bread less fluffy. See... The bread is so fluffy! This is why I said that our loaf of bread is baked with love! Here's a video showing how I baked this very soft basic sandwich bread. Enjoy! To bake just one loaf, simply use half of this recipe. 60g milk powder - please do not use milk to replace water and milk powder. Place all the ingredients in a breadmaker according to the order of the above list. Use the dough setting to knead the dough until it is smooth and elastic and allow the dough to prove for 1 hr or until doubled in size. If breadmaker is not available, kneading by electric mixer with a dough hook is possible. Using an electric mixer with low mixing speed, mix all dough ingredients (except butter) to form a dough first. Then, mix in the unsalted butter and increase mixing speed to medium low and keep kneading for 15-30 mins or until the dough is smooth and elastic. This dough will be very stretchy and elastic and should be ready if it passes the window panel stretch. Transfer dough into a large bowl and cover it with a cling wrap. Allow the dough to rise in a warm and humid place for about 1 hr or until doubled in size. Grease loaf pans with extra butter or cooking oil spray. To shape, divide dough into two and further divide each half into 3 portions at about 210-230g per portion and shape each into balls. Allow them to rest at room temperature for about 10 mins. Using a lightly floured rolling pin, roll each portion into long and flat oval shape (about 20 cm) on a lightly floured non-stick surface. Use your fingers to pick one shorter side of the dough and tuck and roll the dough like a Swiss roll. Use the rolling pin to flatten and roll the dough into a long rod shape. Then, pick one shorter side of the dough and roll it like a Swiss roll again. Repeat this rolling step with the remaining portions of dough. Place three of the shaped dough with their seams side down into the each prepared pan. Press the top of the dough lightly to form an even surface. Allow the loaves to prove for another 1 hr or until the dough is going to reach the maximum height of the loaf pans. Preheat oven at 180°C. Bake at 180°C for 25 mins or until the breads are thoroughly baked. When the bread is baked, unmould the bread immediately. Transfer bread on a wire rack to cool it completely. What kind of milk powder are you using? Hi, may i know what milk powder did you use? Hi Zoe, loves reading your blog. Do you have yummy eggless cake recipe to share? I don't have many eggless cake recipes to share actually... Only http://www.bakeforhappykids.com/2011/09/baking-crazy-cakes-with-toddler.html and http://www.bakeforhappykids.com/2015/05/japanese-yogurt-steamed-cake-yogurt.html Cheers! I have to agree with you Zoe, its so statisfying to make your own bread!, I dont bake bread that often but I remember the first time I nailed making one I was so thrilled and that smell of bread baking!! 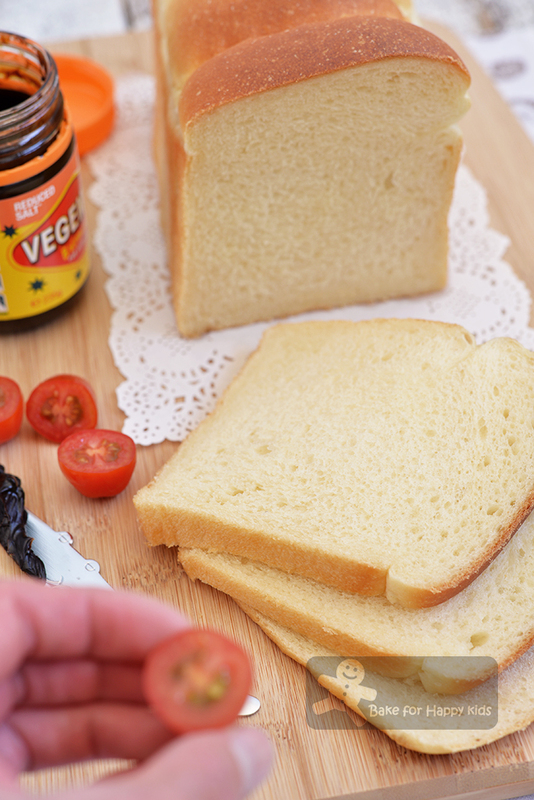 Thank you for sharing your "Very Very Very Soft and Fluffy Basic Sandwich Bread Loaf". I made half portion of the recipe 4 days ago and bread turned out very good, better than Wu Poa Chun bread. Bread was soft yet chewy and could stay at room temperature without going stale for 3 days or so. Hi, you are right that the bread dough needs to be elastic and stretchy to the extent of passing the window pane test. Not kneading enough will cause the dough not to be stretchy and your bread will eventually turn out to be tough and dense. You can try to use warm water instead of just tap water or activate the yeast first until it is foamy before incorporating the yeast into your dough or try kneading in warm environment so that the dough can relax better. You see... Kneading in a breadmaker is temperature controlled and hand kneading or electric mixer is not. Hope that you will have good success baking your bread. Hi Zoe, I am trying to bake this bread now. I use hand to knead and dough becomes pasty, do I have to knead further? I'm sorry to say that hand kneading can be time-consuming and laborious and if your dough is not smooth and stretchy, it means that you have not knead the ingredients enough. Please knead until you pass the window panel test :p Cheers! My biggest issue with all my breads is that they don't stay soft overnight. Its brilliant when its out of the oven, but leave it overnight OR if i include filling, it becomes extremely dense. I usually cool my breads down for like an hour on the rack before storing in tupperware overnight. But because we like only soft breads, resorted to only baking loaves using timer functions to have hot fresh bread in the morning. Any suggestions? 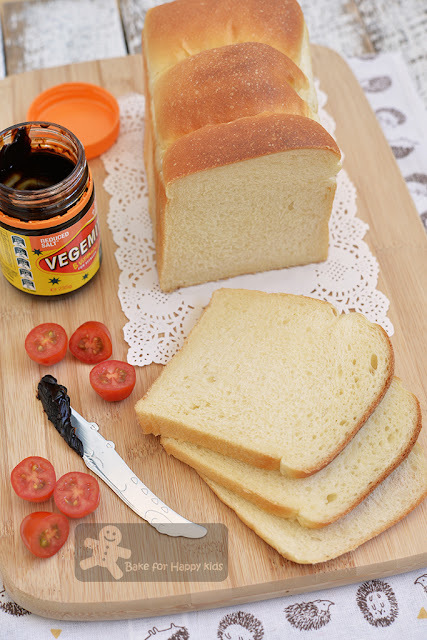 Hi Kelly, I have baked with this recipe many times and the bread will stay very soft even on the next day. Maybe there is something wrong with your oven or BM setting and you might have over-baked your bread. If you are referring to other bread recipes, not this... errr... then maybe, you shouldn't use the other recipes that didn't work for you :p Cheers! I'm a bread baker, but my specialty is rolls. This recipe is intriguing, and I was interested in the comments about the dry milk versus the whole milk products. That could be why I've seen a few less than stellar products come out of the oven. Live and learn. I'll be making this loaf real soon. Hi Zoe,love reading your blog. I tried baking this super soft bread but after kneading the dough from the bread machine is still watery dough. Unlike the dough I see from your video. Any idea what happen? How can I salvage this ? Hi Shirley, You should not have this problem and I'm guessing that you have measured the amount of liquid or flour incorrectly. You can add flour tbsp by tbsp into the breadmaker while mixing until the dough is not "watery" but can't promise that the bread will be soft using this way to fix the problem. Cheers! You are right. I have measured the flour wrongly. I have tried it again today and it was perfect! Hi Zoe, i have tried this recipe for few times and it never disappoint me. It stays soft even on third day which i think is amazing for homemade bread. Thank you so much for sharing recipes and information. Keep it up! !